The best software to eidt music in your game videos. When you're developing a game, one of the most important aspects of the entire process is selecting the right music and sound effects. The perfect tune at the perfect time can transport the player into a different dimension and help them feel like they are actually a part of a game. Sound effects themselves are essential to ensure that your game encompasses every aspect of the playing experience. If you're developing a game during your spare time or if you're simply looking for the most inexpensive resources that the internet has to offer for developers, there are an array of free music and sound effect resources. It is important that you read through all of the information on each site to make sure that you're following the guidelines of each song. For example, some songs may be used only if your game is free. Other songs and sound effects will be entirely free, regardless. All of the media on Freesound is released under Creative Commons licenses, meaning that they are free to use for creative purposes. You will be able to browse through their extensive list of sound effects, bleeps, and other unique audio components that you can add to your game. All of the media will be either .wav, .ogg, .flac, .fla, or .mp3 and you can easily browse through their selection based on the file type that you're interested in. There are other search parameters as well such as genres, licenses, top downloaded, and most recently added. When you find a sound effect that you're interested in you can also view other sound effects that will sound similar. The main purpose of Indie Game Music is to give independent game developers the audio content that they need to make their games. The website owner, Roald Strauss went through the motions as a game developer and realized that there weren't as many resources for the audio files he needed so he created the website. You can easily get free music for your games without having to worry about any fine print. If you're working with your own sound and audio, Audacity may be just the thing that you're looking for. You won't be able to sort through a collection of different sound effects and music, instead it's an open source program that allows you to edit and record sounds of your own. Most of the features on the program are equivalent to those that you would find in top-tier expensive audio editors and recorders. Whether you make your own sounds or edit recordings that you have found elsewhere, the options are endless. The sound effects available on SoundBible's website are entirely royalty free and you can use them for both personal and commercial purposes without having to pay a cent. You may have to give credit to the creator, depending on what the creative license says but you can find more information with each audio recording that you look at. The clips are available in either .mp3 or .wav. The best way to find the audio clips that you're looking for is to sort through their selection by tag. Some of their most popular sound effects include: laughter, fighting, and machines. Unity is an incredibly popular game engine for independent developers and they also offer an asset store that will give you everything that you need to perfect your game. They have a collection of free sound effects, ambient sounds, and music. There are also many audio files that you can browse through entirely for free. You can download all of the audio files directly through the software, which is quite convenient. Open Game Art is an all-inclusive tool that game developers can use to their advantage for much more than audio media. You can also take a look at their 2D and 3D art and textures for your game. They have an extensive library of sound effects and music that was developed from many different artists. You can take a look at the specific audio files that you'd be interested in by searching through the licenses and tags. 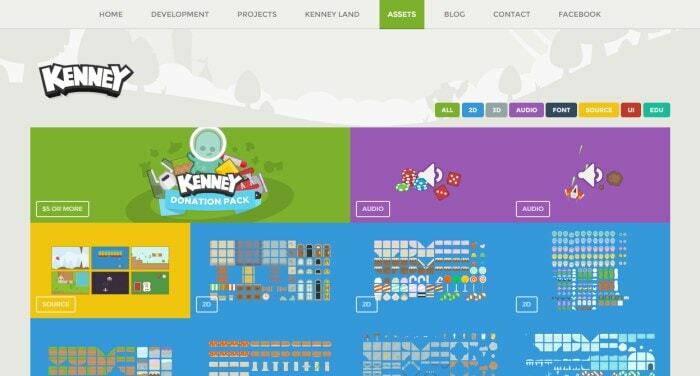 There are hundreds of different game resources available on the Kenney website. Some of these resources include audio files that you can get in different packs. The packs are organized by the category of sound, for example casino audio, UI audio, or RPG audio. You would be surprised at the tunes that you would recognize from this website as they are commonly used by industry professionals and underground developers alike. 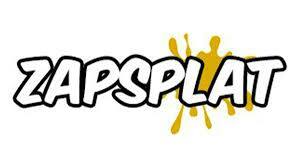 You can use the free sound effects from ZapSplat for commercial, broadcast, and non-commercial programs as long as you provide credit to the audio creator. You can take a look at the audio files that they have available by category, for example explosions, cartoons, or animals. You can also search for specific sounds by keyword depending on how the files are categorized. In order to have access to the sound clips you will have to make an account. After downloading the free music and sound effects, it’s time to add Music and Sound Effect to Recorded Game Videos. [If you are looking for a gameplay video recorder, you can try our screen recording software FilmoraScrn, which has the ability to record fast paced games at 120FPS on Windows PC. However, our newly released Filmora9 has some built in sound effects and free music in the Audio Library as well. 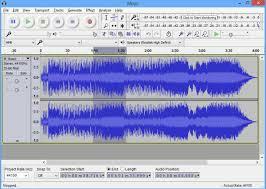 Besides, you can also add the downloaded audio to the recorded game video and do some audio editing such as remove background noise or change audio speed, or add keyframes to the audio and fade in and fade out the audio clip. Filmora9 also has features such as Audio Equalizer and Audio Compressor. Download the free trial version below and try it for free. Thanks for This article it was so informative and educational. Another great resource that I found recently is Soundstripe. Soundstripe is a service that allows you FULL access to their entire library of music, for only a small monthly fee of $15/month. http://soundstripe.grsm.io/ethanloomis You can sort by genre, mood, etc. Perfect for video editing music, no matter what type of project. They've even created playlist categories to help you find what you need instantly! Nice article! Usually I purchase royalty free sounds and music from Earmonium (www.earmonium.com), they have paid contents but the quality is absolutely better than the free resources!